This study reassesses several accepted truths about Arab village society. It shows first that one cannot speak about the position of women in general, because there is a great difference among women depending on the structure of their households and relationships. Women whose work contributes to the family's income, who have been able to acquire property, who exert control over their sons, and who have the quickness of mind to exploit suitable opportunities, often have their way in the economic and political affairs of their households and beyond.Ginat's analysis of marriage patterns dispels the common notion that men customarily seek the hand of their father's brother's daughter, and that this type of marriage illustrates a principle of endogamy in Arab village society. 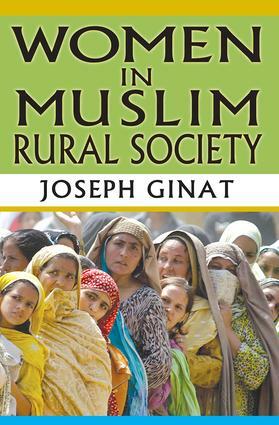 After carefully examining the numerous reasons for each marriage, he concludes that a combination of material and political considerations of the families involved, and not stated norms, determines the choice of spouses.The author clarifies the notion of honor, which hitherto has been used to explain so many things in Arab society. In Arab societies a man's honor often seems to depend on the reputation of his women. Now it appears that his honor is gauged not by the actual sexual comportment of women for whom he is morally responsible, but by public attitudes towards that sexuality. Ginat's analysis adds to our understanding of some central themes in Arab society. He provides valuable and complete information about aspects of family life that have rarely been covered in such detail.